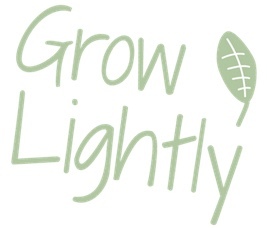 Grow Lightly supports the War on Waste. In a previous post I wrote about the tv program that highlighted the problem of waste in our community. I was very inspired by the series and it seems that I am not alone. We are all part of the huge movement to reduce our waste, and Grow Lightly has had that aim for many years. Reducing our waste makes sense on so many levels, environmental and economic, that it is a no brainer. And now it is Plastic Free July where we can sign up to take the challenge to minimise waste in a more conscious way. Joining the challenge is quite simple…choose to refuse single-use plastic during July. Follow Plastic Free July on Instagram to get more ideas from a vibrant community effort. A local initiative to support people on this journey is by Tammy Logan. She has founded the Gippsland Unwrapped group on Facebook to share ideas and support one another particularly focused on Gippsland. And the Guardian newspaper follows up on the War on Waste series with this article where readers shared how they were inspired by the War on Waste series to tackle overconsumption and waste in their daily lives. Check out their tips. Do you have any tips for reducing waste? Please let us know in a comment.